NZ food: What are feijoas? Have you seen this green fruit for sale in the Bay of Islands and wondered what it is? No, it’s not a naked kiwi fruit ? ; it’s a feijoa (pronounced: FEE-joer). ? What are feijoas? No, they’re not naked kiwi fruit! Although fiejoas originally come from South America, New Zealanders have embraced them as their own. 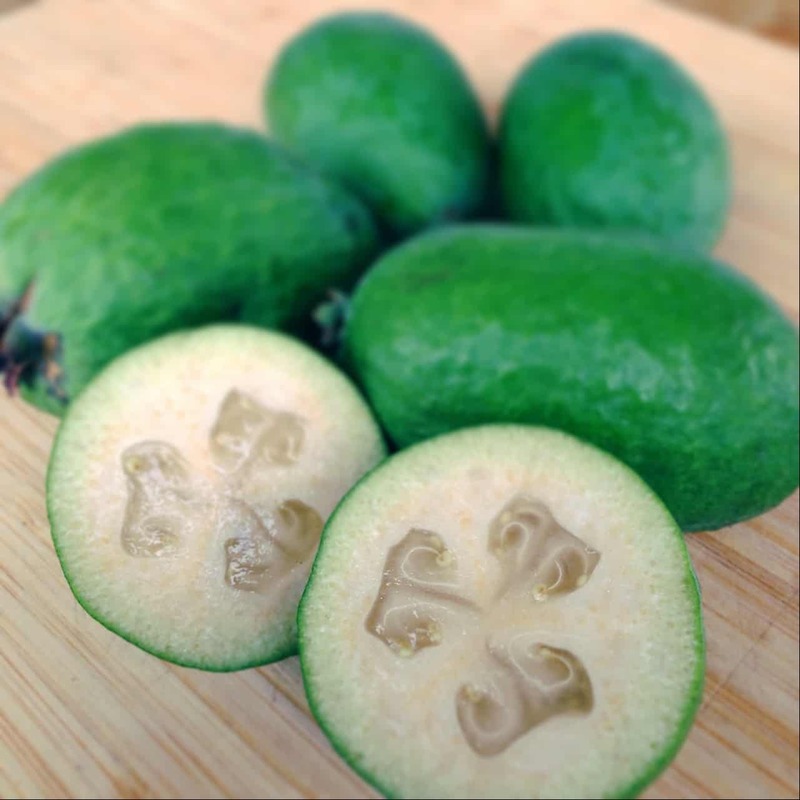 Feijoas (Acca sellowiana) are popular in home gardens throughout New Zealand, and are known overseas as a pineapple guava, which is the best way to describe the flavour. Feijoas are an autumn fruit that ripens between March and June. They have the best flavour when the fruit is left to drop off the tree – rather than picking the fruit from the tree. How do you eat feijoas?
? ?Healthy feijoa crumble recipe ?? 1. Preheat the oven to 180°C. Arrange feijoas and other fruit in a shallow baking dish. 2. Combine all other ingredients in a bowl so they’re well mixed. Sprinkle over feijoas. Bake until crumble looks crunchy on top and sugar is caramelised (about 20 minutes). Serve with a scoop of ice cream or yoghurt. ? 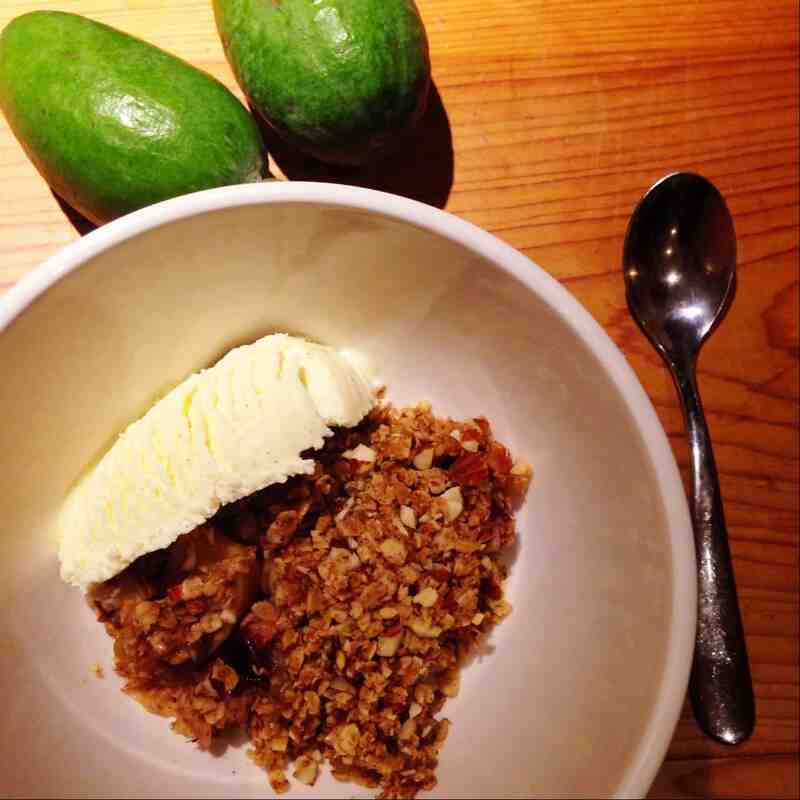 Healthy feijoa crumble – with just a tiny bit of ice cream. Yum!